The Senator representing Cross River Central Senatorial District in the National Assembly, John Owan-Enoh, on Tuesday emerged as candidate of the All Progressives Congress for the 2019 governorship election in the state. Earlier on Monday, a faction of the party led by Mr. Etim John had conducted a parallel governorship primary, where it announced the Minister of Niger Delta Affairs, Mr. Uguru Usani, as the winner of the exercise. However, announcing the results at about 1.49am on Tuesday, chairman of the seven-man Governorship Primaries Committee, which was constituted by the National Working Committee of the APC, Mr. Ali Magaji, said Owan-Enoh scored 82,272 votes to beat four other aspirants to the ticket of the party. Other contestants in the election, which was done through direct primaries, were a former Minister of Culture and Tourism, Edem Duke, who came second with 7,367 votes; Prof Etim Nyong (5,786); Mr. Upan Odey (3,892) and Mr. Uguru Usani (1,778). Magaji described the exercise as “a family affair,” urging all members of the party to support the winner of the exercise to be able to emerge victorious in the general elections next year. According to him, there was no victor or vanquished, and called on all members to be united. He commended security agencies for ensuring a hitch-free exercise and also the Independent National Electoral Commission for monitoring the entire process. 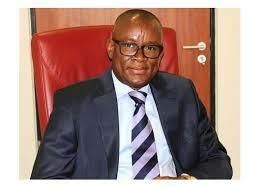 In his brief remarks, Owan-Enoh expressed delight at his emergence, saying the proper thing was done. The National Vice-Chairman of the APC, South-South, Hilliard Eta; and the state chairman of the party, Dr. Mathew Achigbe, were among top officials present at the collation centre.